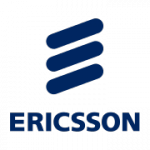 Ericsson is a world-leading provider of telecommunications equipment and services to mobile and fixed network operators. Over 1,000 networks in more than 180 countries use their network equipment, and more than 40 percent of the world’s mobile traffic passes through Ericsson networks. The most important partners of the Budapest DTC are the ELTE-Ericsson Software Laboratory and the BME High Speed Networks Laboratory. Cisco has shaped the future of the Internet by creating unprecedented value and opportunity for its customers, employees, investors and ecosystem partners and has become the worldwide leader in networking – transforming how people connect, communicate and collaborate. 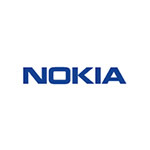 Nokia is a leading player in network systems, business solutions and services. It is also a global leader in ICT technologies, serving customers in over 100 countries across the world. With state-of-the-art software, hardware and services for any type of network, Nokia is uniquely positioned to help communication service providers, governments, and large enterprises by driving the transition to smart, virtual networks and seamless connectivity. Magyar Telekom is the largest telecommunication and infocommunication service provider and one of the most acclaimed companies of Hungary. Magyar Telekom is committed to innovation, continuously developing new, cutting-edge services, as a modern network infrastructure is essential to establish a modern digital environment. The strengthening of innovation is one of the objectives laid down in Magyar Telekom’s corporate strategy, as it allows them to provide high quality products and to respond adequately to the ever newer challenges of info-communication societies. MTA SZTAKI is the Computer and Automation Research Institute of the Hungarian Academy of Sciences. SZTAKI is a Centre of Excellence and runs several international research projects funded from the 6th and 7th R&D framework programmes. The cooperation of ELTE and SZTAKI is based on a historical strategic cooperation agreement which aims at implementing a joint doctoral school. 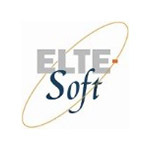 ELTE-Soft serves as a bridge between ELTE and its industrial partners. It aims at transferring the up-to-date research results and state-of-the-art technology to the students and carrying out tasks of large innovation content in ICT research and development that range from applied research through technical development to developing software products based on basic research in natural and social sciences.